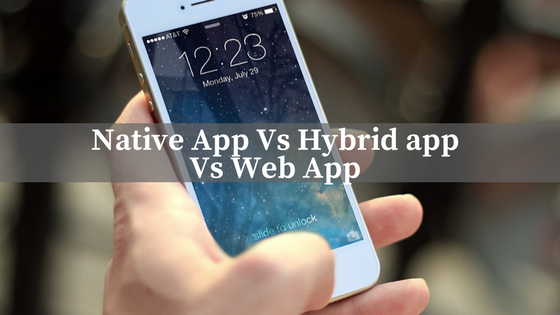 Native App Vs Hybrid App Vs Web App: Which one is right for you? The ushering in of the online business presence with the internet revolution is undergoing a major transformation. The online presence was initially limited to web presence with businesses developing websites to expand their businesses and customer base. Increasingly mobility solutions are eclipsing websites in terms of popular means of securing competitive online presence. The logic behind the expanding business mobile presence is simple. People, today, use mobile phones more often than their computers, and therefore, mobile applications are becoming more popular. Businesses are increasingly adopting the mobile strategy to scale their operations and drive expansions as mobile applications offer an efficient business model. In addition to greater accessibility, mobile apps are easy to use, customizable and ensure a satisfactory user experience. 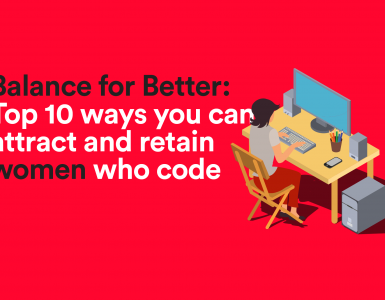 The long list of benefits has prompted a shift from the exclusive use of websites to drive online presence to adopt a complementary model of mobile presence. There are various options you can choose for to gain mobile presence for your business. Of the different options, three are the most popular i.e. Native Apps, Hybrid Apps, and Web Apps. Firstly, if you are looking to develop operating system-specific apps, you should go in for native apps. You can customize such apps easily to augment the user experience. Secondly, you can opt for the hybrid app if you seek cross-platform business outreach. Such apps use a single code for all operating systems and are cost effective. Finally, you can choose to develop web apps if you seek an easy to develop and manage option. Web Apps can endorse a mobile presence for your business at a very competitive cost. Invariably the battle Native app vs Hybrid app vs Web app is always ongoing. The following points will help you better choose the best option for your business. Native apps constitute the most commonly used app development option. These apps are platform specific and are only accessible to the respective operating system. Native apps are written in a variety of programming languages, subject to the compatibility of its target platform. Most native apps for an iOS platform are written in Swift or Objective- C, while ones for Android choose Java. The access to these apps is through app marketplaces or app stores. Device Compatibility– Native apps are highly compatible with a device’s hardware, and calibration to a device’s features is possible. You will be exclusively addressing the needs of a particular operating platform. Accessibility– Access to native apps is easy and convenient as they are available on app stores that are pre-installed in devices. Therefore, your customer base will have no difficulty in locating your mobile presence. Efficient Optimization– As development is platform specific, app optimization corresponds to the specific device needs and therefore, is more efficient. Operational efficiency can directly translate to a better output for your business. User Experience– They provide a better user experience because they are more responsive to user needs. Additionally, they are more secure and safe owing to app store approval. Your customer base is more likely to use an app that will not infect their phone and responds to their needs. Expensive– Native apps are costly to develop since they are platform specific. Developers have to write apps separately for different operating systems to ensure maximum compatibility and outreach. Additionally, you may need to invest further in-app maintenance. Complicated Maintenance– Different apps for different platforms also complicate the customer service support and maintenance. Different versions that run on different devices will require you to create an extensive assistance team. High Technical Expertise– Building native apps require technical expertise in various programming languages. It may require you to hire different professionals for different platforms. Time Intensive– Different programming for different platforms also entails a high turnaround time. This can cause a delay in your business launch or expansion if you’re aiming for a quick mobile presence. Cost Effective– Cross-platform compatibility makes a hybrid app cost effective. You can get an app that functions across devices at a lower cost. Quick Delivery– Hybrid apps require less time to develop as they have a single code base. You can have a hybrid app for your business in a short period of time. Accessibility– Greater device compatibility and leverage inbuilt device features will also win your business a bigger user base. Added Expenses– While hybrid apps are cheaper to develop than native apps, they will cost you more than regular web apps. This escalation in cost is due to the wrapper that the app uses for its front end. Slow– Not responsive to the particular needs of any specific platform, your hybrid app will be slower and less interactive than its potential native version. Low Customization– Additional, since you are creating a cross-platform app, you cannot customize it to provide a remarkable user experience. 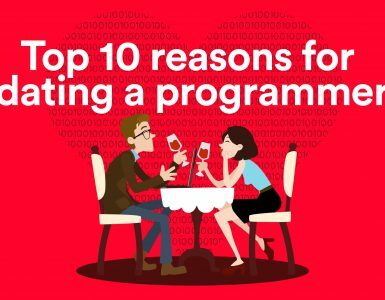 Increase in Costs– A combined disadvantage of first and third is that if you try to create customizations in a hybrid app, the cost goes up exponentially. This makes a hybrid app more expensive than even a native one. Cost Effective– Web apps are primarily a functionally efficient form of a website, calibrated for mobile use. Since they derive their form and structure from the website, they are cost-effective and inexpensive. Easy to Build– The languages you are likely to use for building a web app are common knowledge and thus, such apps are easy to build, as they do not require technical expertise. Cross-Platform Utility– Since web apps run in the browser of a device, you do not need different apps for different platforms. This will save you human and monetary capital from building platform-specific alternatives. Easy Managing– Drawing from the second benefit, you can also easily manage web apps as they use simple programming languages. Low Accessibility– While hybrid and native apps can access virtually all device features, you can only use a few features using web apps. This limits their potential to utilize device features. Limit Brand Recognition– Web apps can also lag behind in driving brand loyalty and recognition. Since your app is not downloadable, it won’t appear as an icon on a customer’s phone. Not appearing in a user’s eyes at all time can limit the recognition of your brand. Lack in User Experience– User experience of web apps can be below satisfactory. Users have to put in the additional effort of entering the URL of the app. This generally retards an enthusiasm among users who may prefer to access your business with a tap on their home screen. 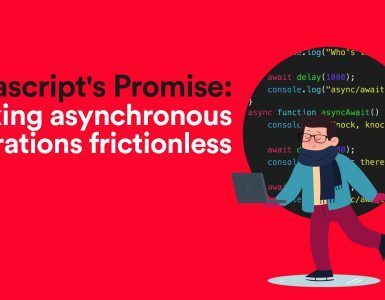 Limited Interactive Utility– Another point decelerating user experience is the slow pace of web apps and their inability to interact with the customers. While your web app may act as a platform to interact with the user base, its interactive utility is limited. Each app type that appears above comes with its own strengths and weakness. Deciding on the best option requires an expansive understanding of your business needs. Big businesses often opt for a combination of native, hybrid and web apps to ensure complete outreach. However, you must take into consideration what you expect out of the app before deciding. When looking for an app that ensures a remarkable user experience, you must go with native app development. Since native apps are calibrated to the needs of a particular platform, they provide the best user experience. You may also choose native apps if you seek to address the users of only one operating system. If you do not wish to invest a fortune in your app, but still seek to achieve a cross-platform visibility, hybrid apps are the best alternative. Their cross-platform utility will drive greater business and they are also ready for a shorter duration. The use of a single code base will also require a small team of coders reducing the requisite technical expertise. Finally, you must choose web apps if you just want an extension of your website which is mobile friendly. Since web apps are cost-effective and easy to develop, you can leverage them as an entering point to securing your mobile presence. By the end of this discussion, you must be aware of the instrumentality of mobile presence in today’s business scenario. Mobile apps can augment your online presence. Additionally, an efficient mobile strategy can drive greater business towards your way. Get in touch with us to develop a market-ready mobile app for your business today. At Recro, we deliver robust, scalable and competitive mobility solutions to secure an effective mobile presence for your business. Also Read- Why Mobile Apps Are Important for your Business?